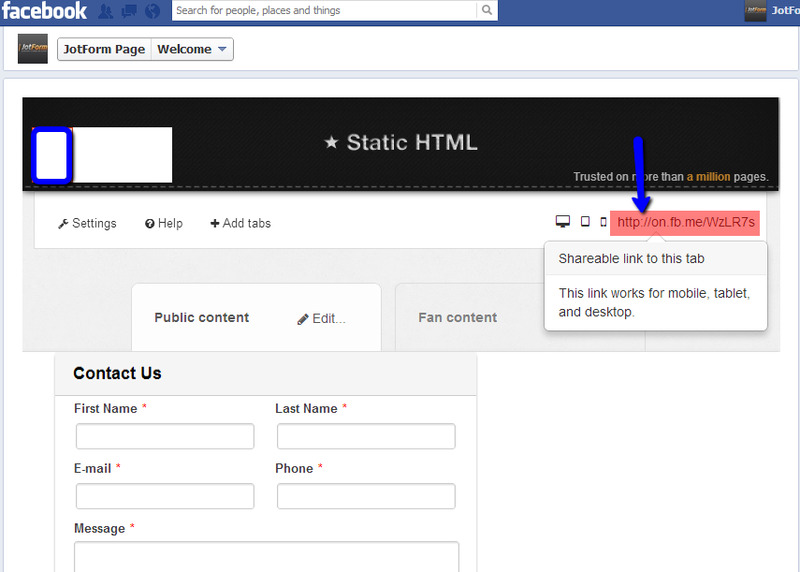 The link to the jot form static html facebook app won't open on mobiles. Can you please tell us what type of mobile platform are involved ? Hi - have tested on Samsung S2 and Iphones and it doesn't work on either. Hi - That seems to have worked. Many thanks for your help.